This world famous hotel was once best known as being Europe's most bombed hotel but even back then it was known for luxury. 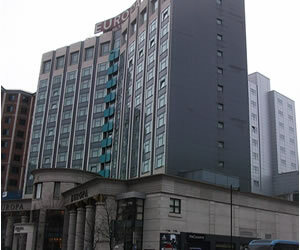 Now the Europa Hotel in Belfast is a favourite destination for visitors wishing to sit on the doorstep of Belfast shopping and entertainment venues. The hotel offers a choice of 272 hotel rooms and boasts onsite dining and bars but with so many close by, you'll never go hungry!